success with the spot gilt purchased from us. 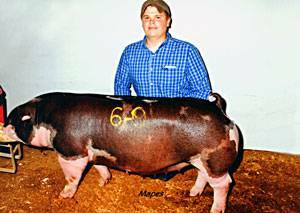 where she was the Co-Top selling spot gilt at $4600. 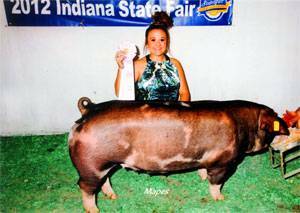 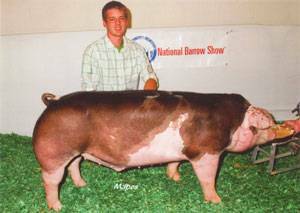 The gilt was sired by our home raised son of Like No Other. 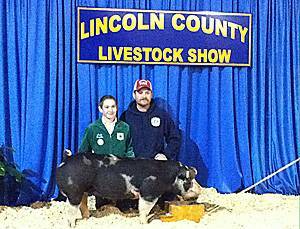 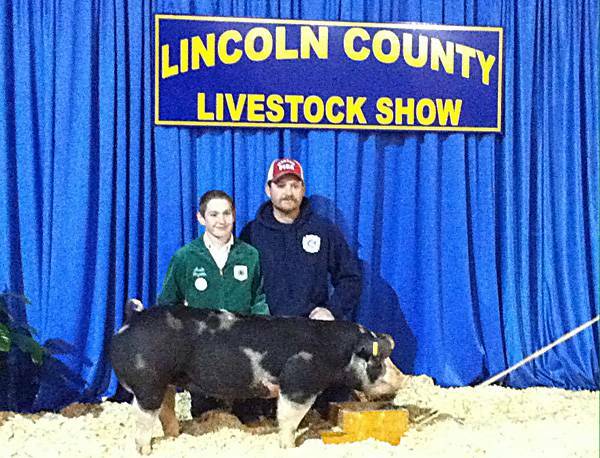 the 2014 Lincoln County Stock Show. 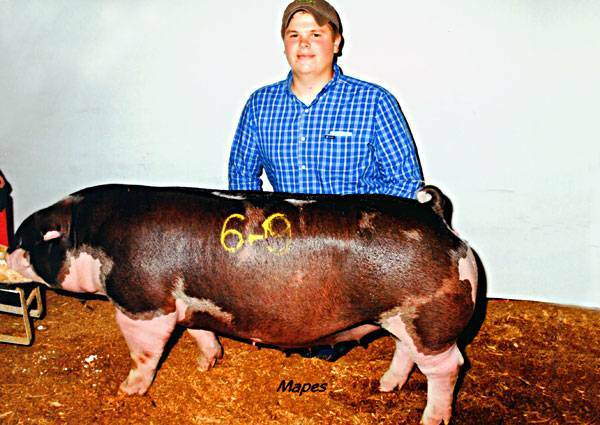 Champion Spot gilt at 2012 Delaware County Fair. 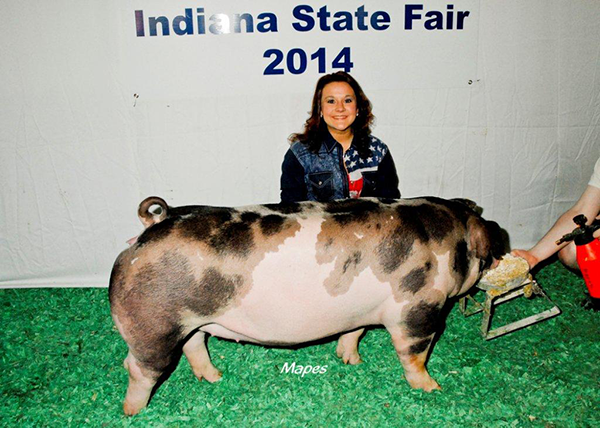 2012 Indiana State Fair Jr. Show. 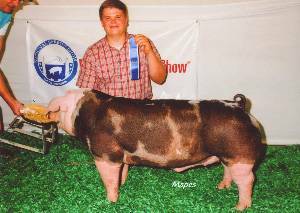 on his success with his spot gilt purchased from us. 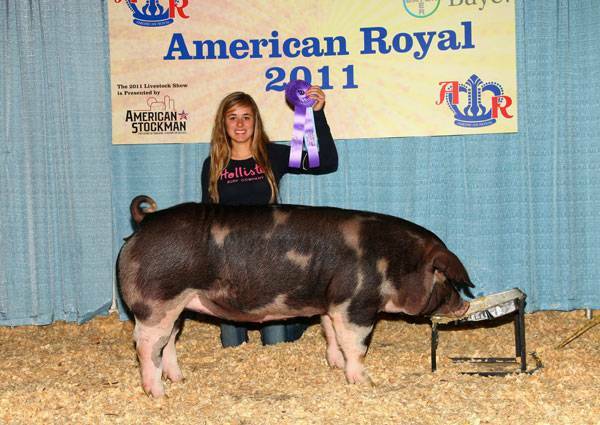 and Res. 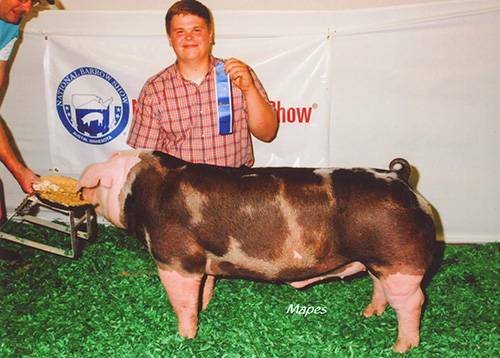 Jr. Champion at the 2012 Indiana State Fair Open Show.